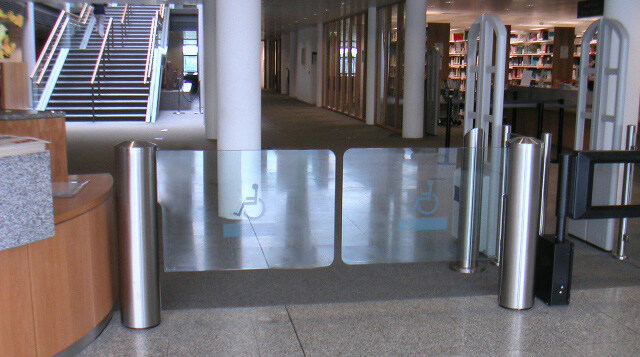 Disabilities Act of 1990 and address a missing link in the entrance control marketplace, the GlasStile S gate can now be found in many different settings with multiple applications. Not just your run-of-the-mill gate, the GlasStile S is supported by a microprocessor, allowing it to be completely integrated within any access control system while keeping potential intruders in check. 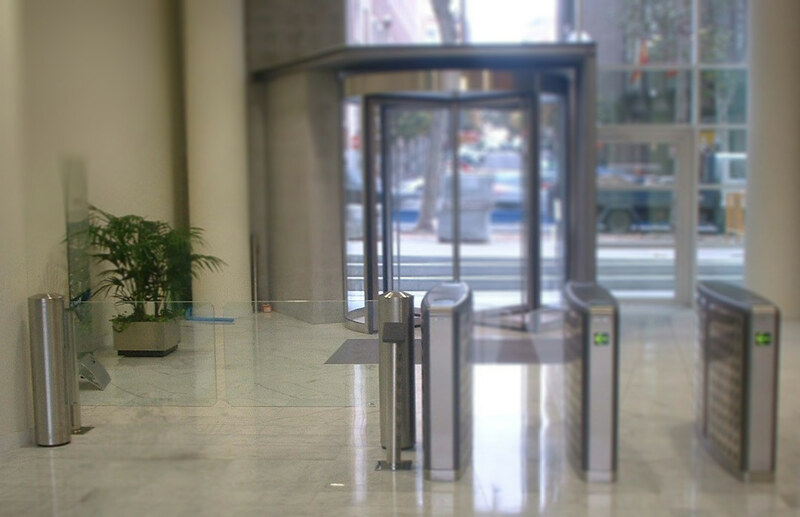 The GlasStile S can interface with any card reader, remote control, emergency pushbutton, or other access control system to provide secured access through the gate. Designed to automatically open under power failure or fire alarm emergency, the GlasStile S is a perfect solution when authorized ADA access or service cart entry is required. 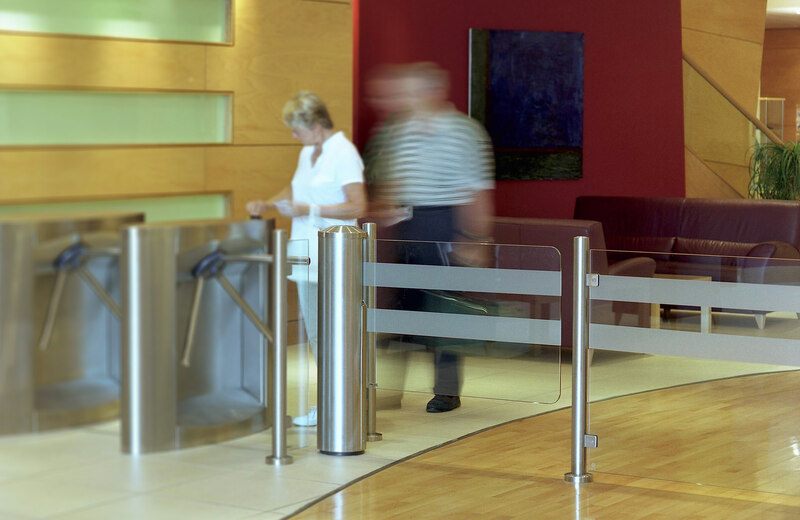 When installed in proximity to existing entrance turnstiles, the GlasStile S can replace the need for expensive additional ADA compliant turnstiles. And when space is limited, the GlasStile S may be a perfect fit, providing the required ADA option where conventional optical or mechanical turnstiles may be too large. 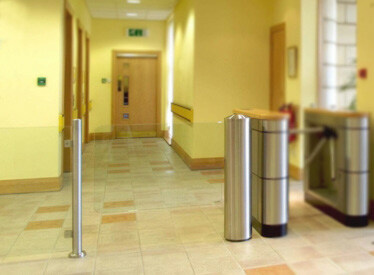 Where a wider service entrance is required, GlasStile S gates can also be configured as a tandem pair. Gunnebo offers custom housing materials such as stainless steel, brass, and muntz, and aesthetic details like logo etching and frosted glass panels. With its small footprint and custom glass sizes and materials, the GlasStile S can be tailored to suit any application.